closes 8:00 p.m. May 9. Jack Davis speaks on "General Warton's War." Our longtime William C. “Jack” Davis returned to the Round Table on April 9 and spoke about the letters written by Confederate General Gabriel Wharton and his wife Nannie. The voluminous correspondence between the couple survived decades in a Virginia attic and a Florida garage before their discovery in 2016. Jack read passages from the collection and discussed the many insights they offer about the war, politics and society. Gary Barnes, Chairman of the Atlanta Round Table's Richard Barksdale Harwell Award Committee, has announced that A. Wilson Greene has been selected for the 2019 award for the best book on a Civil War subject published in 2018. 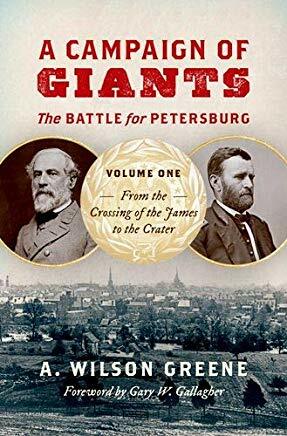 A Campaign of Giants: The Battle for Petersburg Volume One - From the Crossing of the James to the Crater was published by the University of North Carolina Press. The award will be presented at the Round Table's December meeting. Greene's book was chosen from the numerous excellent books published in 2018 and reviewed by the Harwell Committee. Joanne Freeman was a finalist for the award for her book The Field of Blood: Violence in Congress and the Road to Civil War. Go here for more information on our award winner, his book and the Harwell Award. The Committee is now accepting nominations for the 2020 award. Please see the submission guidelines for details. The Atlanta Civil War Round Table was organized in 1949 with the intent purpose to further the serious discussion and study of the American Civil War. Meetings are held at Atlanta's Capital City Club on the second Tuesday of every month, with the exception of July and August. The evening's events start with a social hour at 5:30 PM and dinner at 7:00 PM. Check in by 6:30 PM. The speaker's program begins at 8:00 PM. The emphasis for each meeting is on our guest speaker. 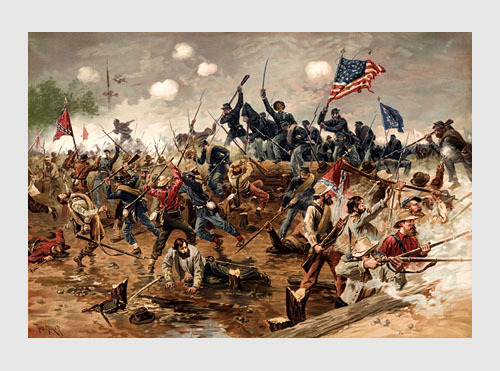 The meetings of the Atlanta Civil War Round Table regularly feature the top experts in various fields related to the Civil War. Let us hear from you if you would like to join us one evening or if you have an interest in applying for a membership. Reservation for dinner must be made through Treasurer Vicky Frolich, by mail, no later than noon on the Friday preceding the Tuesday meeting.